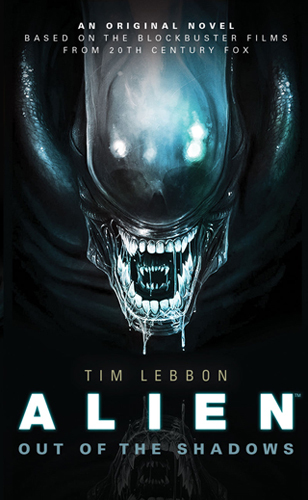 Ellen Ripley is back in Tim Lebbon’s Alien: Out of the Shadows , the first book in a brand new Alien trilogy from Titan Books. Adding to an established universe of loving/obsessed fans is tricky. 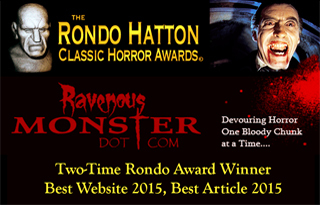 The novel has to be successful on multiple levels in order to please the passionate members of its audience, those for whom the franchise was acquired in the first place. As a member of that demographic and a fan of Lebbon, I’ll be breaking it down step by step. First off, the Ellen Ripley of Out of the Shadows is the Ellen Ripley we all know. This book takes place between the first and second movies and envisions Ripley’s escape pod taking a detour before the second film begins. Tim Lebbon writes Ripley incredibly well. He clearly understands all the elements of the complex character that Sigourney Weaver brought to life in the first three Alien films. And although, a recurring waking-nightmare draws in elements from James Cameron’s directors cut of Aliens, some may mistake that as a Lebbon addition. While reading Out of the Shadows, at no point did I feel that Ripley acted in ways not honest to the iconic character. Lebbon also nails the tone of the Alien Universe amazingly well. The long dark corridors, the shadows brimming with danger, the dark dirty vision of the future—it’s all here. Lebbon also doesn’t overuse the aliens themselves and treats the creatures with a reverence that was sorely missing from Alien Resurrection. Readers will even be treated to a few nods to elements from Prometheus. As someone who was sorely disappointed by that film, I still think that what he chooses to incorporate is done well. Next is the story itself. While starting with greater leisure than I would have liked, Lebbon’s narrative eventually builds up and consequentially earns its tension. The last quarter of the book is rife with amazing set pieces. The prose remains clear during elaborate and brilliantly realized action sequences, capturing the perfect blend of action and horror that fans of the Aliens franchise will relish. However, Ripley’s supporting cast was noticeably less developed and it was hard to genuinely invest in these characters who I suspected would die horrible deaths, mainly due to their absence in James Cameron’s Aliens. This leads to my biggest issue with Alien: Out of the Shadows—the lack of consistency and plausibility with the existing movies. Throughout Aliens, Ripley is used as the expert on these new predatory creatures and talks about her time on the Nostromo, yet there is no reference in the film that could have alluded to the gut-wrenching events in Out of the Shadows. This was a thought gnawing in the back of my mind as I was reading this book. Tim Lebbon does address this issue, but he relies on a deus ex machina conceit to do so, a storytelling technique I’m not overly fond of. I can’t fault him too much as I can’t think of a better approach. Even still, as I neared the novel’s end, I was hoping that a cliché sci-fi trope never before used in the Alien Universe would not be conveniently trotted out as a solution. It was. And as well written as Ripley is, I feel Lebbon’s tale is strong enough to stand on its own without her. Lebbon is an amazing story teller whose tale not only didn’t need Ripley, but it would have actually been stronger without her (though the other character he used from Alien is truly a mark of genius). Alien: Out of the Shadows is a damn fine book and if you can sit back and enjoy this new Alien tale for what it is, you won’t be disappointed. 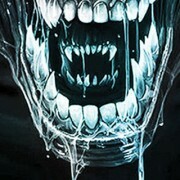 The xenomorphs are back—scary and brutal. None of this Alien vs Predator PG-13 crap. However, if you are obsessively nerdy and need to see your beloved franchises perfectly realized, you’ll struggle with the way Ripley’s journey ends under Tim Lebbon’s watch. The second book in this trilogy, Sea of Sorrows, will have James A. Moore at the helm and will be released in July of 2014.